Synopsis: “After getting kicked out of boarding school, bad boy Derek Fitzpatrick has no choice but to live with his ditzy stepmother while his military dad is deployed. Things quickly go from bad to worse when he finds out she plans to move them back to her childhood home in Illinois. Derek’s counting the days before he can be on his own, and the last thing he needs is to get involved with someone else’s family drama. You might see my rating and go, “what the hell, are you crazy? !” but let me try and explain myself. I really did try and like this book, but in the end, I couldn’t kid myself and pretend I liked it at all. I never went into it thinking it’d be great literature, but I did have some expectations as I’ve heard great things about the author’s Perfect Chemistry series. I have yet to start that series (Rules of Attraction is sitting on my TBR shelf) but Elkeles is a NYT bestseller … so I was really looking forward to this book. A lot. I don’t know about you but someone with an intention to stab me would not be at the top of my hotties list to be honest. I found myself cringing a lot throughout this novel, especially during the scenes where Derek and Ashtyn are interacting with each other. I felt like they had no chemistry at all, and their relationship was very forced. When I think about it, their attraction to each other is based solely on appearances as they never bother to really get to know each other at all. All they really do is banter and get pissed at each other, and I’m not exactly sure how that would lead to a stable relationship. While their relationship is not insta-love, it can be regarded as insta-pining, a sort of obsession that feels quite awkward and misplaced. Derek’s relationship with his dad. I am so annoyed for no reason at this. Especially as there was no interaction between them at all. I understand communication is not ideal while his dad is deployed somewhere in the middle of the ocean, but still. Not even an email? Fairfield and Fremont’s rivalry. It was at the forefront during the start of the book, and then nothing at all. I wanted to see Ashtyn stand up for herself to them but nope. I never expected that the writing style in this book would be that poor either. I felt like I was reading a self-published series on FictionPress, and unfortunately, I’ve read better quality stories on that website (Sarah J. Maas for example). I’m also confused as to why no one bothered to remind Derek and Ashtyn that they’re technically related by law. I once read a very well written series on FP by Myrika regarding the relationship between two step-siblings, and the fact that they’re technically related was a big issue throughout. I was hoping that Wild Cards would have the same amount of drama and intrigue as the FP story, but unfortunately it didn’t. Unfortunately, this book was not my cup of tea. I hope I’ve explained myself properly regarding my dislike for it and why I’m disappointed by it. It does make me wary of picking up her other series, but I’m not going to say I won’t eventually give it a go. 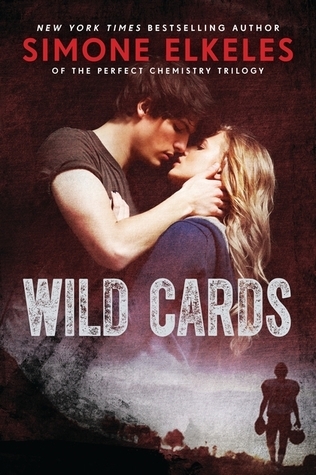 However, I don’t think I will be picking up the next book in the Wild Cards series.